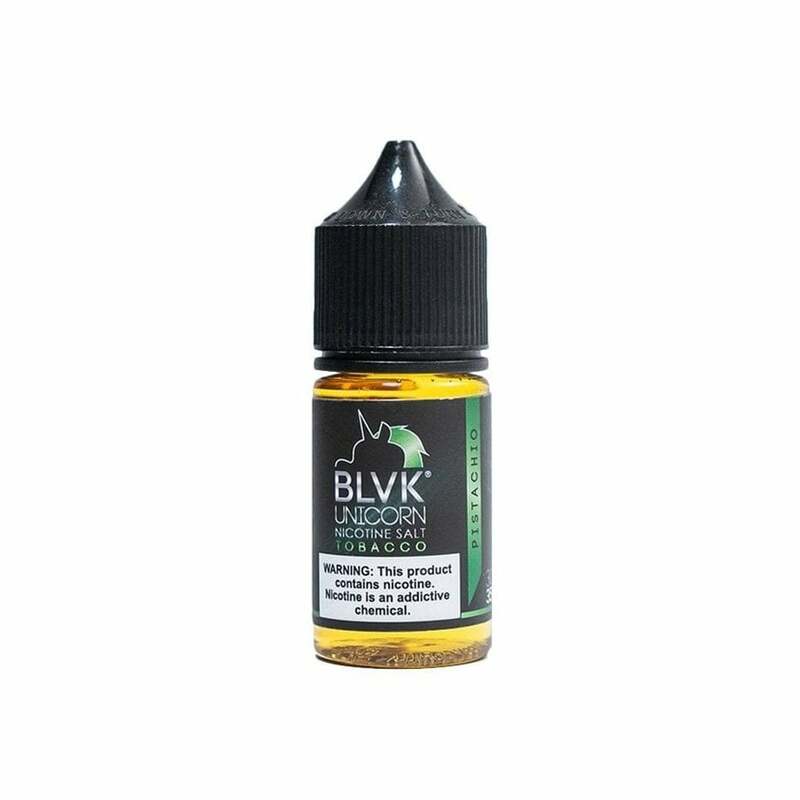 Cured tobacco aromas merge with the earthy tones of pistachio and a light menthol kick in this Pistachio Tobacco nicotine salt vape juice from BLVK Unicorn. If you like tobacco flavor profiles and are looking for something new and unique, this is the vape juice for you. Smooth, nutty, and savory, with just a hint of mint. I had high expectations for this one, but it fails to deliver. I don't get any pistachio or nuttiness flavor. This tastes like mint chocolate more than anything. I expected the menthol to be more subtle; it is not. It is overwhelming and dries out my tongue. it does have a slight tobacco,pistachio flavor, but there is another flavor i can taste but i cannot place it. its not to sweet. pretty unique flavor,not an all day everyday vape, but it is a good flavor to have around for something different to vape every now and then. it is pretty smooth. i use a smok nord to vape with. Love it!! If you like tobacco flavor and a realistic pistachio flavor, you will want this one! Great flavor . I also use it to sweeten tobacco flavors by mixing it in . This is a good vape. The flavor profile is spot on. Slightly sweet but not overly sweet and the nut flavor is very tasty. A unique flavor. I’m not sure it’s my everyday vape, but I’m glad I bought this and have it on hand. Good stuff! I really dig this flavor, it's extremely smooth on the inhale. It's not overly sweet like many tobacco flavors, instead it's well balanced with no overpowering characteristics. The exhale is where this flavor really shines. There is a unique coolness to the nutty pistachio taste, almost menthol like but not quite. This juice is a new addition to my list of favorites and will make its way into my regular rotation.